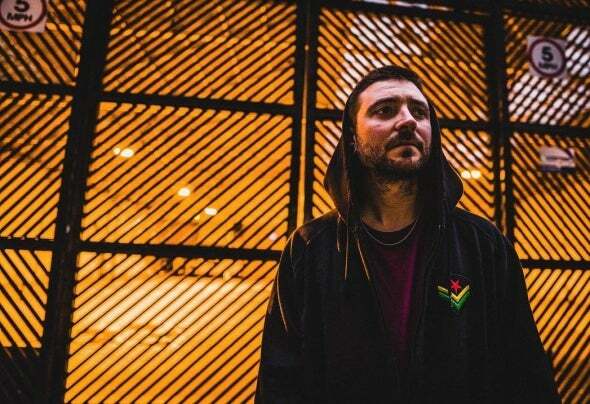 Born in Barcelona and moved to Bristol, Dubtime is a dj and producer who developed his style after he fell into Reggae and sub- genres like Dub and Ragga-Jungle. Since then he has been loyal to the Jamaican sounds.As a producer, he gained reputation in the international junglist scene with releases in top labels as Jungle Cakes, Dub Shotta, Serial Killaz, or South Yard, his co owned label, remixing tunes for big names as Dreadsquad, Jakes or General Degree, and placing his tunes in some of the best dj's playlists, as Benny Page or Run Tingz. His style keeps always that Jamaican vibe using Reggae samples, vocals and fx in most of his tunes, either when he makes Ragga-Jungle or Drum'n'Bass. His dj sets are known by quick mixes, double drops and an accurate selection which goes from the Reggae Roots anthems to the broken Ragga-Jungle & Drum'n'Bass beats.